After the tentative Lausanne nuclear agreement between Iran and six world powers was announced on April 2, 2015, a series of protests flared up in Iran to oppose the deal. The first major protest was in Mashhad on May 28, which spread to other major cities the next day. Moreover, on June 16, a massive protest in Tehran’s Baharestan square led the Supreme Leader Ali Khamenei to back track from the agreement approval. On June 30, the agreement deadline, many protestors gathered in Tehran’s Azadi Square and from the top of its tower hanged a lengthy petition called Barg Meli (National Sheet) that had listed their conditions for an acceptable agreement and had been endorsed by some 17,000 legal experts and had been signed by millions of Iranians. President Hassan Rouhani has been under heavy criticism by various opposition groups in Iran for handling of the proposed nuclear deal and the economy. Despite the criticisms, Rouhani celebrated the second anniversary of his presidency on June 14 (24 Khordad). There was nothing to celebrate; the Iranian economy has worsened since he took over two years ago and his deal to scrap Iran’s nuclear achievements has angered Iranians. His government had arranged large auditoriums in major cities for lavish celebrations. Yet, most of the seats in the auditoriums remained empty as only few people attended. The attendees were mostly the government officials and their families. Lack of peoples’ participations in the celebration proved Rouhani does not have domestic support. His presidency has been backed by the Western powers hoping for settling the nuclear dispute and opening the country to their exports by lifting the sanctions imposed on Iran. In his presidential campaign, Rouhani had claimed Iran’s poor economic situation was unrelated to sanctions and was due to mismanagement of the government at that time. However, after he became president, he has blamed the sanctions for worsening the economy and even for the present drought in the country! He has pursued implementing neoliberal economic reforms despite their failure in many developing countries. During the past two years imports to the country have doubled, resulting in bankruptcy of some domestic producers and rise of unemployment. At the same time Rouhani has cut cash subsidies to many needy families. In 2001, the Rockefeller Brothers Fund financed Iran Project, a New York base organization aimed to re-establish Washington relations with Tehran. The organization led by some former American diplomats developed relationship with some Iranian diplomats, including Mohammad Javad Zarif, then a young diplomat working at Iran’s mission in New York. They arranged secret meetings with Iranians affiliated Institute for Political and International Studies, a think tank linked to the Iranian Foreign Ministry, and briefed the State Department and the Whitehouse. The meetings were suspended after Mahmoud Ahmadinejad was elected president in 2005. Yet, when Hassan Rouhani became president in 2013, The Key figures in his administration were the former members of Iranian delegation to the United Nation, the so-called New York Circle (Halgheh New Yorkeeha), which included his Foreign Minister Zarif. Subsequently, secret meetings were resumed in Oman in which Zarif was Iran’s chief negotiator. An idea in the meetings was to let Iran enrich a very small amount of Uranium to save face and that paved the way for a tentative deal in Lausanne. Many Iranians have opposed Rouhani’s Lausanne deal, due to the fact that its implementation will dismantle Iran’s nuclear infrastructure. On June 16 (26 Khordad), they organized a massive rally in Baharestan Square and its surrounding streets in Downtown Tehran, where the Iranian Parliament (Majles) is located to oppose the deal. The rally was initially intended to pay respect to unearthed bodies of Iranian soldiers killed during Iran – Iraq war in 1980s. The bodies paraded in the streets included 175 divers who had lost their lives in Iraq during a military operation in 1986, returned weeks before. Their capture had been helped by advance information provided to Iraqis by the US intelligence, according to Iranian officials. Pictures showed some had been handcuffed by Iraqis and appeared buried alive. People of various social strata attended the funeral procession. The mourning event turned to patriotic protests against the Lausanne agreement. In the speeches delivered, the speakers lashed out at Rouhani’s negotiating team and the Majles’ head Ali Larijani who had sided with Rouhani. While chanting “no yield, no compromise, confront America”, the crowd demanded the Majles to devise a law to “preserve the country’s nuclear rights and achievements”. In response to people’s demands, the Majles representatives prepared a bill to support preservation of Iran’s nuclear rights and achievements. However, when the bill was scheduled to be voted on, Larijani omitted it from the schedule and replaced it with his own version, which was significantly diluted and did not serve the purpose of the original bill. He omitted several important words and phrases from the original bill and added some others without Majles approval. The phrase “agreement results must be ratified by the Majles“ was changed to “the agreement must be in compliance with polices of the Supreme National Security Council (SNSC)”. That significantly weakened the purpose of the original bill and made it in line with what the negotiators had already accepted in Lausanne. As it appeared, it had been carefully preplanned to alter the bill and that raised some representatives’ complaints because Larijani had acted against the Majles rules and procures. Larijani did not let the opposing representatives led by Mahmoud Nabavian and Hamid Rasaei to speak against the altered bill. The altered bill made it easier for the negotiators to seal the Lausanne deal without Majles supervision. Larijani insisted the Majles must coordinate with SNSC and be in compliance with the Supreme Leader’s frameworks. This was contrary to the fact that Rouhani had previously transmitted Iran’s nuclear dossier from SNSC to the Foreign Ministry after he became president to have full power to negotiate. Ultimately, the Majles voted for the bill on June 23, by overwhelming majority and it was signed into law after it was ratified by the Guardian Council, the clerical upper house. The ratified Act titled “Government’s obligations to preserve Iran’s nuclear achievements” had three principal requirements: 1) all sanctions must be lifted on the day that Iran begins to implement its obligations. 2) The International Atomic Energy Agency is restricted to conventional inspections of Iran’s declared sites and barred from seeing military bases, security sensitive sites, documents and scientists and “must comply with SNSC policies”. 3) No restrictions on Iran’s acquisition of peaceful nuclear technology and know-how or research and development, and “must be in compliance with SNSC policies”. The Act also had two amendments: I. “According to Articles 77 and 125 results of negotiations must be submitted to Majles”. II. The foreign minister and SNSC must report implementation of the agreement every six months to the parliament. The implication of the Act is that the Majles curtailed its own power to stand against the deal if Khamenei approves it. Thus the act can prove to be useless and even counterproductive because the Majles lose its authority to supervise the negotiations and to veto the deal if it does not serve Iran’s national interests. According to Articles 77 and 125 of Iran’s constitution, all international agreements and treaties must be ratified by the Majles. In this situation, the Majles has given its authority to the SNSC, whose decision only requires the Supreme Leader’s approval and not the Majles. Last March, the Leader Khamenei and regimes’ top figures including Rouhani, two Larijani brothers who head the Majles and the Judiciary, and some others in a closed meeting had given verbal approved to the Lausanne deal. 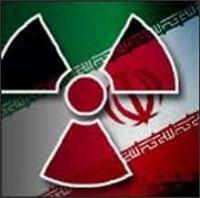 However, the huge rallies by the opposition caused Khamenei to back track from his earlier approval of the deal. Subsequently, Khamenei made a speech to reinforce several redlines; none of them adequately preserves the Iranian nuclear rights and achievements. He mentioned four redlines: 1) 10 to 12 years restriction is not acceptable to us. 2) Nuclear research and development as well as manufacturing should continue. 3) Economic, financial, banking sanctions, and sanctions imposed by the UN, US President or Congress must be lifted when the agreement is signed. 4) Unconventional inspections, seeing and speaking with Iranian scientists are not allowed. These redlines were seen by the other side as green light to seal the deal. In reaction, John Kerry stated that Khamenei’s words were for “domestic political consumption”, meaning that Khamenei wanted to silence internal opposition while privately had agreed to the US demands. Even though the agreement is not yet finalized, it has been partially implemented. As the self-imposed June 30 deadline passed, decision has been made to drag negotiations and to continue implementing the deal. The West is demanding the right to inspect Iran’s military sites and to interview Iran’s nuclear scientists which practically means abolishing Iran’s sovereignty and putting the lives of the scientists at risk, since five of them have been already killed by foreign hired agents. Accepting such a deal is pure capitulation on the part of Iran to surrender decision making authority on its nuclear energy policy to foreign powers. Regrettably, the destiny of the country has been put in the hands of few clerics who regard the survival of their own regime more important than Iran’s national interests. By accepting such a disgraceful deal, the Islamic regime intends to give up Iran’s national rights and sovereignty in return for the West’s backing of the clerical regime’s survival. Ismael Hossein-zadeh, Economic Crisis in Iran: The Impacts of Sanctions and the Uncertain Outcome of Nuclear Talks, http://www.globalresearch.ca/economic-crisis-in-iran-the-impacts-of-sanctions-and-the-uncertain-outcome-of-nuclear-talks/5451396 , May 23, 2015. Ali Larijani was born in Najaf, Iraq in 1958. Some 25 of his close relatives are representatives in the Majles.